X2 Mini-Mill small High/Low transmission gear. This is a stronger replacement gear. 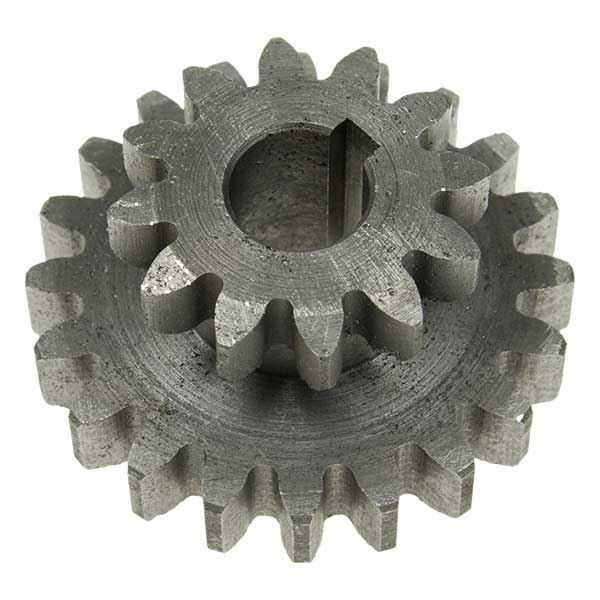 If you regularly overload your machine and break the plastic gears then fit this gear set and the corresponding 21/29 tooth gear set instead. Then when you next overload the machine, something else will break but at least it will be more accessible!! !